Located in the heart of Mariehamn, this hotel is within a 15-minute walk of Alands Museum, Aland Maritime Museum, and Sjökvarteret Maritime Museum. Mariehamn Ferry Port is 0.8 mi (1.2 km) away. Situated by the sea, this eco-friendly hotel is within a 10-minute walk of Alands Museum and Sjökvarteret Maritime Museum. Aland Maritime Museum and Mariehamn Ferry Port are also within 1 mi (2 km). 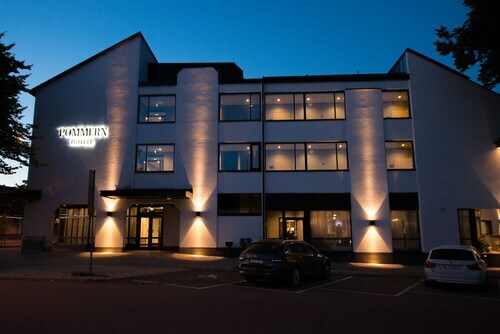 Located in the heart of Mariehamn, this hotel is within a 15-minute walk of Alands Museum, Sjökvarteret Maritime Museum, and Aland Maritime Museum. Mariehamn Ferry Port is 0.8 mi (1.4 km) away. Located in the heart of Mariehamn, this apartment building is within a 10-minute walk of Alands Museum and Sjökvarteret Maritime Museum. Aland Maritime Museum and Mariehamn Ferry Port are also within 1 mi (2 km). How Much is a Hotel Room in Mariehamn? 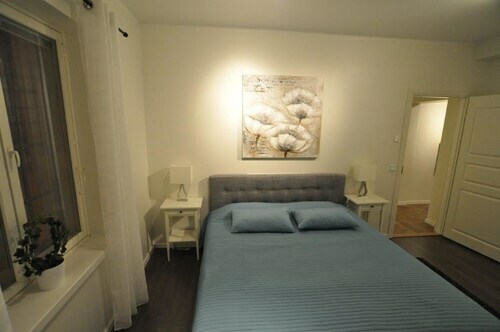 Hotels in Mariehamn start at $80 per night. Prices and availability subject to change. Additional terms may apply. For those travelers on the hunt for a place to hang their hat right near the center of Mariehamn, Travelocity's destinations page offers customers several options. Travelocity's comprehensive database presently is showing 8 lodging options in and around the CBD district and surrounds of Mariehamn. Enlightened visitors wishing to find Travelocity-listed accommodation within 0.6 miles (1 kilometer) of Mariehamn, can discover the Hotel Savoy and Hotel Adlon. You could also try the Hotel Pommern and the Park Alandia Hotel. 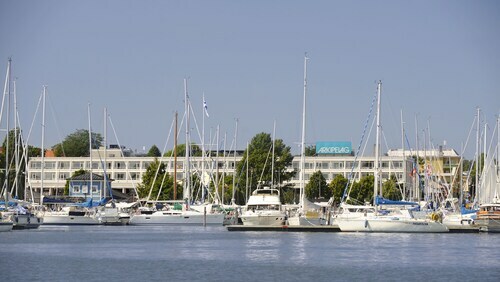 The Hotel Pommern is located 0.4 miles (0.6 kilometers) away from the center of Mariehamn. The Park Alandia Hotel, is situated only 0.5 miles (0.7 kilometers) away. Another two alternatives in the area are the Strandnäs Hotell and the Hotell Cikada. The Labbas Homestead & Bank Museum is a favorite destination around here. Book a hotel in Eckero, which is situated 15 miles (24 kilometers) northwest of the heart of Mariehamn. Choose from the Käringsund Resort & Conference and Storby Gästhem-Logi. Arlanda Airport is a primary entry point for flying in and out of Mariehamn. It can be found 75 miles (122 kilometers) from downtown. For wise travelers who would prefer to find a base nearby, book a room at Radisson Blu SkyCity Hotel or Clarion Hotel Arlanda Airport.